A supposedly anonymous high-ranking member of the Trump Administration published an op-ed in the New York Times bragging about the existence of the so-called “steady state” that’s resisting the President’s policies from within, which is basically just a public rebranding of the “deep state” and therefore confirms everything that Trump spoke about over the years as being conspiracy facts instead of “conspiracy theories”. “President Trump is facing a test to his presidency unlike any faced by a modern American leader. It’s not just that the special counsel looms large. Or that the country is bitterly divided over Mr. Trump’s leadership. Or even that his party might well lose the House to an opposition hellbent on his downfall. To be clear, ours is not the popular “resistance” of the left. We want the administration to succeed and think that many of its policies have already made America safer and more prosperous. But we believe our first duty is to this country, and the president continues to act in a manner that is detrimental to the health of our republic. In other words, the “steady state” is just the public rebranding of the “deep state”, which the Mainstream Media claimed for decades – and especially after Trump announced his candidacy – doesn’t exist and is nothing more than a “conspiracy theory”. There’s no difference between the “steady state” and the “deep state”, so “conspiracy theory” has just become conspiracy fact. It’s at this point where one wonders what the entire purpose of revealing this actual conspiracy to the public is supposed to achieve, but the answer can be found in both the upcoming midterm elections this November and in Bob Woodward’s upcoming book about the Trump Administration, the latter of which pairs with the subsequent self-exposure of the “deep state” to form an infowar campaign designed to change voters’ perceptions about the President and his party. Although Trump isn’t up for re-election until another two years, Americans know that he needs to retain the Republican majority in Congress in order to have any chance of passing his legislative proposals (notwithstanding “Republicans In Name Only” [RINOS] who joined the “Resistance” and are dedicated to opposing him), so the vote is basically a referendum on the President. 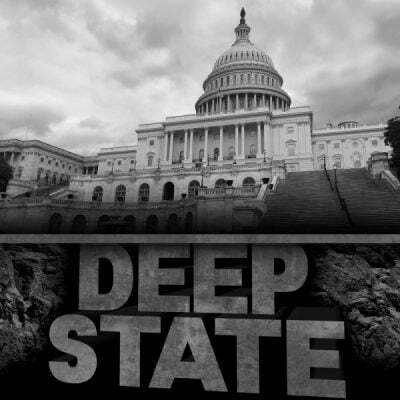 The very fact that something as explosive as the “deep state” was just voluntarily revealed to the American public by The Establishment itself in a bid to offset any potential Republican victory during the midterms speaks to how desperate Trump’s opponents are becoming after more and more Americans realize the success of his Presidency thus far, especially when it comes to the economy. It also suggests that the “deep state” knows that its days are numbered if Americans vote to retain the Republican majority in Congress, hence why it’s resorting to such extreme measures. After all, there’s no other reason why they’d debunk the decades-long narrative that they built in the Mainstream Media denying their very existence and expose it as one of history’s biggest lies unless this truly was the case. “Desperate times call for desperate measures”, as the saying goes, and this was indeed proven by what The Establishment just did by publishing the op-ed from a supposedly anonymous high-ranking source in the Trump Administration. Apparently, the “deep state” thinks that Americans are so stupid that they’ll forget their lifetime of brainwashing and embrace this shadowy cabal so long as it rebrands as the “steady state” instead. The public’s collective intelligence hasn’t been this insulted since the same Mainstream Media told them that there’s a 99% chance that Hillary would win the 2016 presidential election, but just like back then, many of the same driving factors that propelled Trump into the White House are still present because the so-called “steady state” and its “Resistance” cohorts have deliberately sabotaged the President’s domestic agenda, which is why Americans might once again defy The Establishment this November, “deep state” be damned.